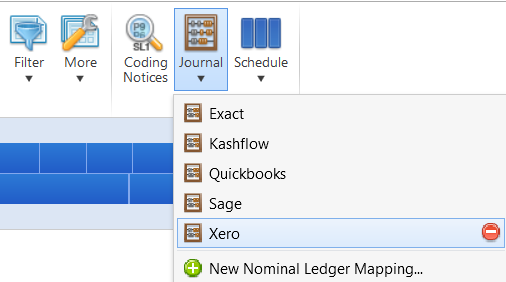 2a) On the next screen, choose Xero (CSV File) as your destination. 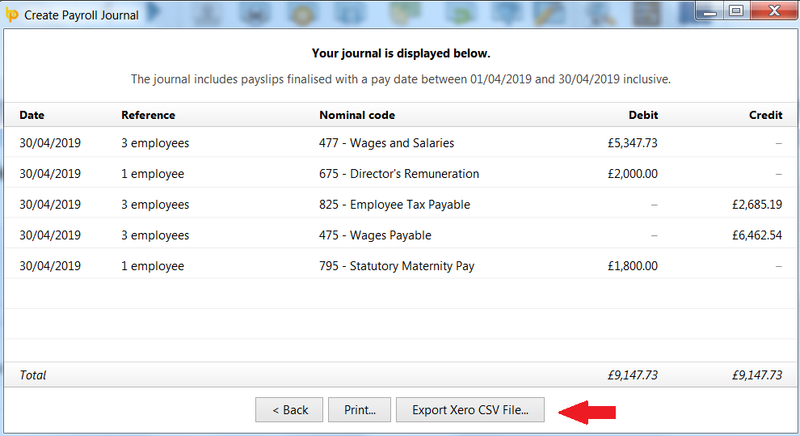 b) Set your Date Range - the journal will include records for all payslips (across all pay frequencies) with a pay date within the selected range. 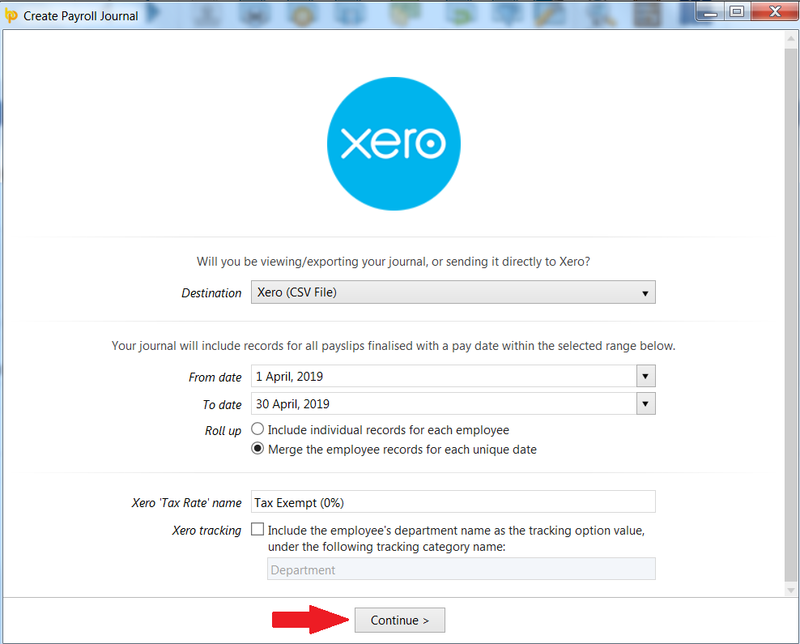 c) Roll up - select whether you would like the journal to include individual records for each employee or whether to merge the records for each unique date. e) Should you wish to include the employee's department name as the tracking option value, tick the box provided. Should the tracking category name differ to 'Department', enter accordingly. 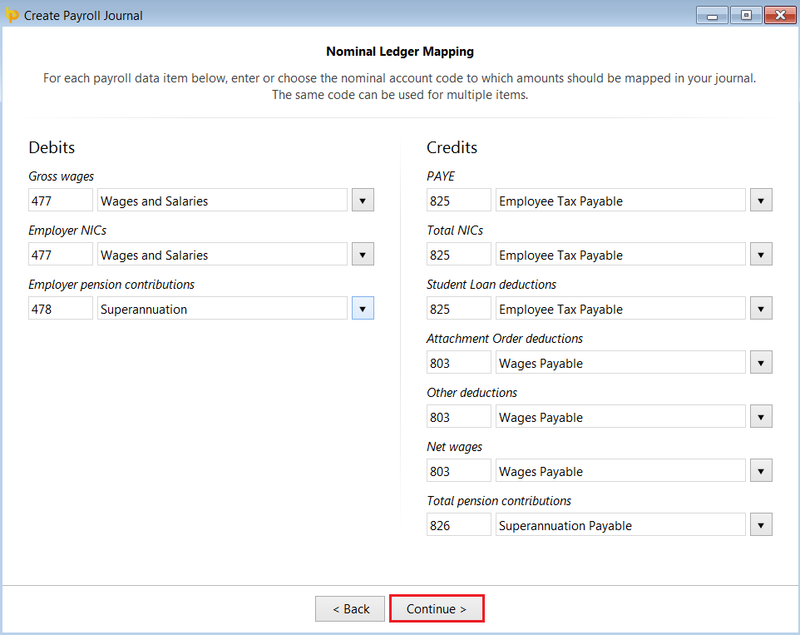 b) For the payroll data item selected, set the rules to apply in order for the amount to be mapped to the designated nominal account you enter on this screen. Rules can be set according to period type, directorship, department and specific pay items. c) Click Save when complete. 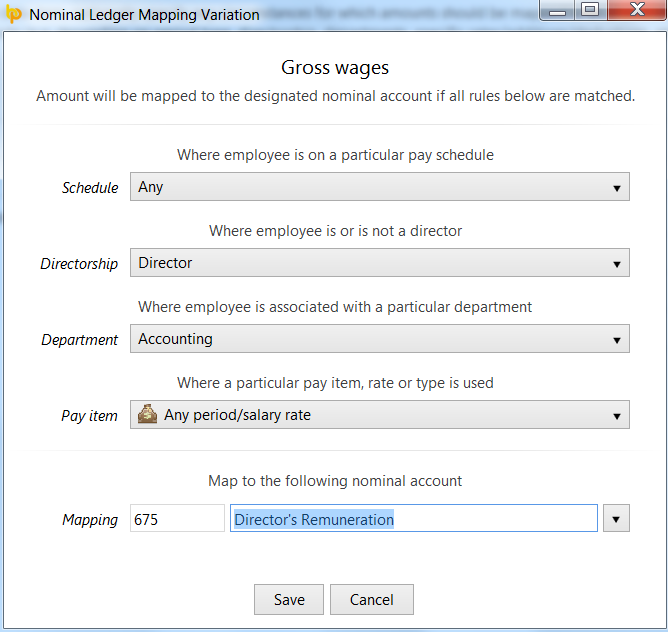 Your rule will now be displayed on screen under the payroll data item it is associated with. 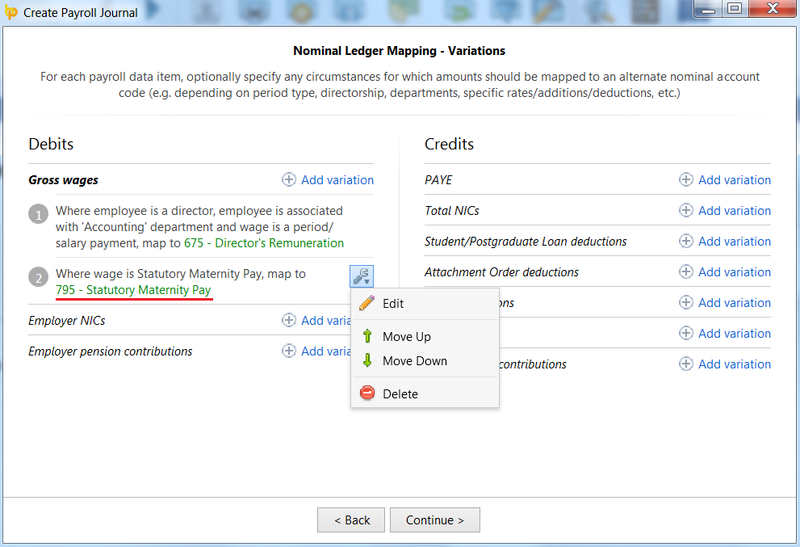 d) Further variations can be added for different pay items or for the same payroll data item by simply clicking Add Variation again and setting the rules to apply. e) Once variations have been set, these can be edited, deleted or re-ordered by clicking the spanner symbol next to it. In addition, clicking the nominal account information displayed in green provides quick access to the rules that have been set for it. f) On completion of this screen (where required), click 'Continue'. c) Press 'Print' to print, email or export a copy of your journal to PDF.